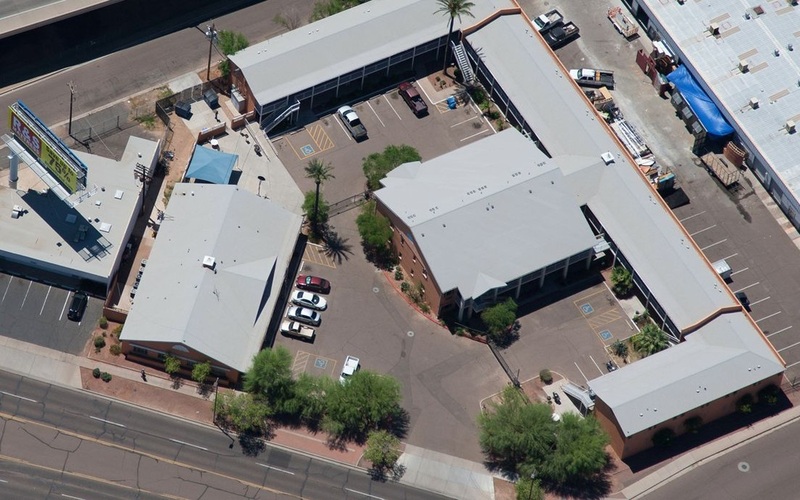 A community of safe and affordable living, desirable amenities and conveniently located close to the I-17 and I-10 freeways, and major bus lines which connect residents to nearby employment, shopping, supportive services and recreational activities. Our community has 84 fully furnished studio apartments. The front office is staffed 24/7 and includes a business center, community kitchen, resident computer with internet access, library and TV room. On-site supportive services are available to assist residents with maintaining self-sufficiency and creating a healthy living environment. *Additional program requirements may be required for addiction & behavioral/mental health services.